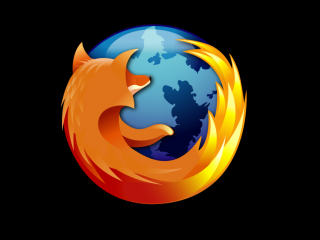 Mozilla has announced the arrival of Firefox 8, a mere six weeks after the arrival of Firefox 7. The new release, which has been in beta since the end of September, adds a number of interesting features – including Twitter search integration and on-demand tab group loading. "This update includes new features that make web browsing easier and give users and developers more control over how they customize their web experience," explained Mozilla on its blog. The new Twitter functionality may come in handy, given how below par Twitter's own search functionality is. From Firefox 8 you can search for both hashtags and @ usernames. The on-demand tab feature allows you to restore windows that have lots of tabs up – quashing a bugbear many have with the browser. Other features include easier HTML5 customisation for developers and the ability for anyone to disable third-party apps that may have been installed without your permission. As well as the web browser, the Android app of Firefox has also been given a polish. "We want to make HTML5-based web apps as easy to use as native apps," said Mozilla. "Firefox [now] lets Android users add icons for any bookmarked website or web app to the home screen and launch with just one touch." With the rate Mozilla is firing out its Firefox updates, we may get to hear the browser's voice break before the year is out. Go to www.mozilla.org/en-US/firefox/new/ to download Firefox 8 for Windows, Mac and Linux and head over to Android Market for the new Android version of the browser.